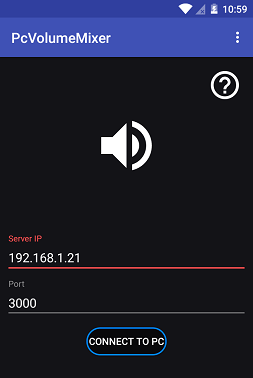 This tutorial explains how to control volume of PC applications separately using Android. 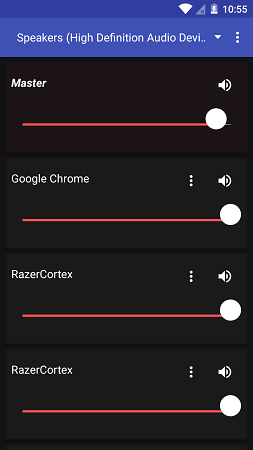 Here I will talk about a handy software that works with an Android app and lets you control the volume levels on your PC. You can either control the volume of a specific running application or the master volume of your PC. And all you have to do is just use the various sliders in the Android app and then change the volume. However, in order to make the Android app work, your PC and smartphone should be in the same network. Currently, the app doesn’t work remotely. The software and app that I have mentioned here is called PcVolumeControl. You have to install it on both the devices and then connect it via local IP address. After that, you can easily control the volume of different applications separately. This is useful while playing the games and other applications that come with no sound control. Without closing or minimizing the game window, you can control its volume right from your smartphone. And there are options in it to mark your most commonly used application as favorite for quick access. 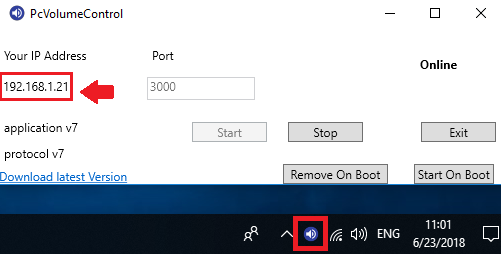 How to Control Volume of PC Applications Separately using Android? PcVolumeControl is a very nice tool that you can try to control volume of your PC applications. The software that it uses as an agent on Windows is an open source tool and you can find its source code on GitHub. And the Android app is openly available on Google Play. The following steps will guide you how to use PcVolumeControl tool to control the volume of PC applications separately using Android. Step 1: Get the PcVolumeControl agent from here and then install on your Windows PC. After installing, just open it and then its interface will open up. You can see the IP address of your PC there along with some other controls. You can make this software stop or start anytime. And not just this but you can even opt to make it run automatically at Windows startup and minimize it to the system tray. Step 2: Head to Google Play store and then install PcVolumeControl app on your smartphone. After that, enter the IP address of your PC in it that it shows on the interface of the software (see in above step). Step 3: Now, simply connect to the PC by tapping on the “CONNECT TO PC” button on the Android app. If the connection is successful, you will start seeing name of all the running applications with a corresponding volume control slider. Now, you can control volume of any application easily. In this way, you can control volume of PC applications separately using Android. And the PcVolumeControl tool makes it very easy to do that. This is a very useful tool in case you often use full screen games or other applications. To change the volume of the game, you have to minimize it generally. But while using PcVolumeControl, you will not have to do that. PcVolumeControl is a quite a unique and powerful tool that you can use to control volume of applications on your PC from your smartphone. Just install the agent on your PC and then control the volume of running applications on PC using Android. To set it up, you just have to enter the IP address of your PC.